Online rummy is one of the most popular card games that is based solely on skill. Everyone knows how to play rummy card games. Many people think that the cards are just fun and playful. But Rummy games are an easy way to help your loved ones keep their minds sharp. And, Yes, there are many trusted websites like Rummyculture who give the real prize to their winners. 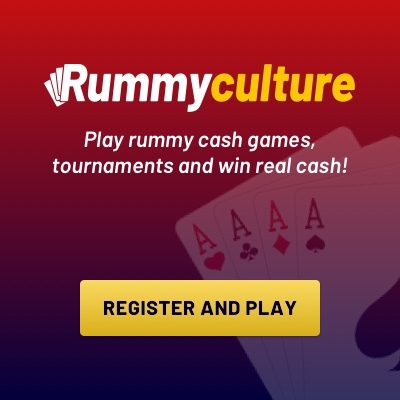 About Players, Cards, Toss: At RummyCulture Online rummy can be played by the minimum of 2 players & maximum of 6 players. 13 cards are being dealt with each player once start the game at Rummycluture.com. 2 decks of cards are involved in the game. The system starts generating the random toss at the beginning of the game & the winner makes the first move. Right after the toss, the system picks a wild joker from the closed deck & 13 random cards are being distributed to each player. The first card from the deck is placed front facing & rest of the cards are in the closed deck. Sequence, Sets:- The sequence in Indian Rummy is considered when 3 or more consecutive cards of the same suit are formed. For example – A K Q J is the group of consecutive cards in the same suit is considered as a valid sequence. The set in Indian Rummy is considered when by 3 or 4 cards of the same rank from different suits is formed. For example – 7 7 7 is sets of cards in the same rank but of different suits. Deals Rummy – This game is played on a certain number of deals. The number of games will depend on the number of deals in Rummy games. Once a certain number of deals have ended, the game is over. Points Rummy – The number rummy 13 card is the most widely played and popular variation of rummy games. In points Rummy, players play for points that have equal money value. The winner becomes zero and the score is obtained by the player who was unable to finish the game first. Points are calculated for those cards which the player was unable to create a sequence or set.